Jill Grinberg of Jill Grinberg Literary Management has sold UK and Commonwealth rights (ex ANZ) to The Extremely Inconvenient Adventures of Bronte Mettlestone (Jaclyn Moriarty, A&U) to Guppy Books, a new Oxford-based publisher focusing on middle-grade and YA fiction. Moriarty’s middle-grade adventure will be one of two books published by Guppy Books to mark its launch later this year. The press is the creation of Bella Pearson, the former publishing director at David Fickling Books, who has worked in children’s books for more than 25 years. Pearson told the Bookseller that she plans to build up to publishing eight to 10 titles per year, and is aiming to acquire world rights in all cases but is ‘open to other options for the right submission’. 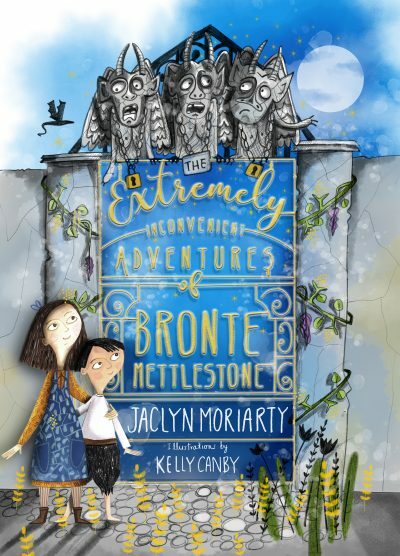 The Extremely Inconvenient Adventures of Bronte Mettlestone was a CBCA Notable book in 2018, and was shortlisted for the Readings Children’s Book Prize in the same year.